Smooth-On mold rubbers and casting materials can be used to create unique forms of art from natural wood. Use Smooth-On materials for fabrication, encapsulation, coating, finishing, casting and repair. Silicone mold rubber can be used to capture woodgrain detail, casting resins and foams reproduce that detail perfectly. 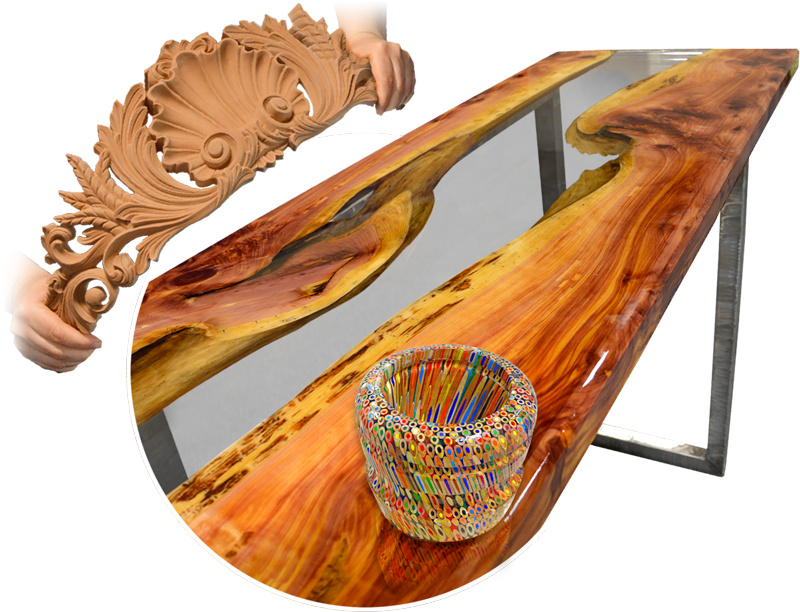 Clear epoxies are used to cast and coat beautiful, high gloss encapsulated wood furniture. Use Smooth-On clear epoxy to create UV resistant, optically clear turned wood projects. Semi-rigid casting materials are used to create flexible faux wood architectural pieces.